The government of Kerala has decided to levy a ‘flood cess’ and to increase prices of liquor, to contain its revenue deficit and support rebuilding in the wake of last year's heavy flooding. In addition to property loss, the estimated income loss from the floods of August 2018 is Rs 25,000 crore. Finance Minister T M Thomas Isaac presented his 10th annual Budget st the state assembly on Thursday, for total outlay of Rs 1.42 trillion. He said the fiscal condition was a challenge. To address this and for various other aims, the flood cess is being levied for the first time (earlier approved by the national Goods and Services Tax Council). Goods with a GST rate of 5 per cent or below and small dealers who had availed of the composition tax will be excluded from the cess. A rate of 0.25 per cent will be levied on goods, including ornaments, on the value of supply. For supply of goods coming within the GST tax brackets of 12, 18 and 28 per cent, and on all services, a one per cent flood cess will be imposed, for two years. To avoid a cascading effect, the flood cess will be on the value of intra-state supply only, by registered dealers, at the last supply point, to consumers or other unregistered dealers (B to C). A total of Rs 600 crore additional revenue a year is expected through this measure. He promised to contain the revenue and fiscal deficit in 2019-20 through stringent monitoring to curtail GST leakage and by increase in liquor taxes. The revenue deficit in the revised estimates for 2018-19 was Rs 13,027 crore, estimated at Rs 8,770 crore in 2019-20. Net public debt this year is Rs 19,191 crore and expected to reach Rs 23,235 crore in 2019-20. "The revenue deficit should be brought down from the last five years' average of 2.21 per cent (of Gross State Domestic Product) to below one per cent. With regard to the fiscal deficit, it should be brought down from the last five years' average of 3.61 per cent to three per cent. To achieve this, GST revenue should grow by 30 per cent in 2019-2020," said the minister. At first glance, such a jump would be thought of as impractical but the department has conceived activities to achieve this and is confident, he said. Isaac explained that in the month of July, annual GST returns would start coming in and tax accounts would be subjected to scrutiny. Sale and purchase vouchers will be matched to detect illegal input tax credit claims and deliberate suppression of turnover. Also, the GST Council has assured all states a 14 per cent growth rate for each year as compared to the previous one. Kerala's GST collection is 13 per cent below this assured revenue. If the state is able to fill this gap, and if it achieves a growth rate of 14 per cent in 2019-20, Kerala will be above the compensation limit and able to grow better, he said. He said annual tax revenue growth was around 10 per cent but expenditure was estimated to grow 13.9 per cent. A demand from various sides was for austerity measures in government expenditure but with decreasing foreign remittances, such a move would be suicidal. While Kerala has higher per capita consumption than Maharashtra, Karnataka or Tamil Nadu, the GST revenue it receives is less, primarily since products are coming from other states and there is lack of a foolproof e-way bill mechanism. Hence, with support of technology, the government would tighten e-way bill monitoring. And, ask citizens to ensure they get a bill for any products or service they purchase. It will also form a co-ordinating committee with central officials to tighten GST collection. Also, a look at amnesty measures to settle pending Value Added Tax arrears pending or those in dispute. Isaac also announced a two per cent additional tax on vaious Indian Made Foreign Liquor products. A Rebuild Kerala initiative gets Rs 1,000 crore. Among 25 projects in this regard are industrial and information technology parks, supporting of start-ups, work on a 'carbon-neutral' Wayanad, employment generation related to coconut plantations, setting up of integrated rice parks and rubber parks, a 'north-south parallel rail track', launch of a Kerala Boat League and setting up of a Kerala Bank. A Comprehensive Family Health Insurance Scheme was announced and Rs 800 crore earmarked. Total allocation in health and education is around Rs 4,000 crore each. A package for the cashew industry has been launched, through which the government will take charge of the interest on loans pending from sector units, with Rs 25 crore for one year. A StartUp Youth Programme gets Rs 70 crore and a Start-Up Innovation Zone Rs 10 crore. A Kochi-Coimbatore industrial corridor is proposed. About Rs 600 crore has been given for infrastructure and other projects to improve the Sabarimala hill shrine. 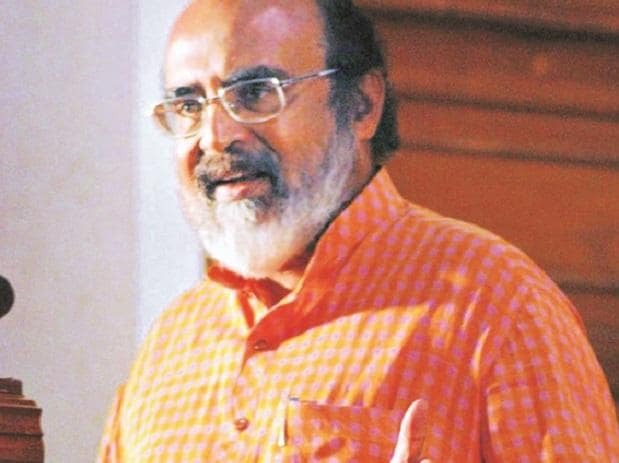 Also, a Kerala Tourism Entrepreneurship Project to support private investment into the sector, Rs 82 crore for tourism marketing, formation of a Malabar Coffee brand to support growers in the northern part of the state and branding of various products made by the government-backed Kudumbasree self-help groups. It is also expecting close to Rs 12,000 crore from Kerala Lotteries. Local bodies are to be allowed to levy an entertainment tax. A one-time tax on new motorcycles, cars and vehicles used for private purposes will be increased by one per cent. There are also scheme aimed to double farmers' income, a rehabilitation scheme for fishermen and launch of three rice parks.